So, from the most general considerations, we strictly deduced the equation of wave motion. 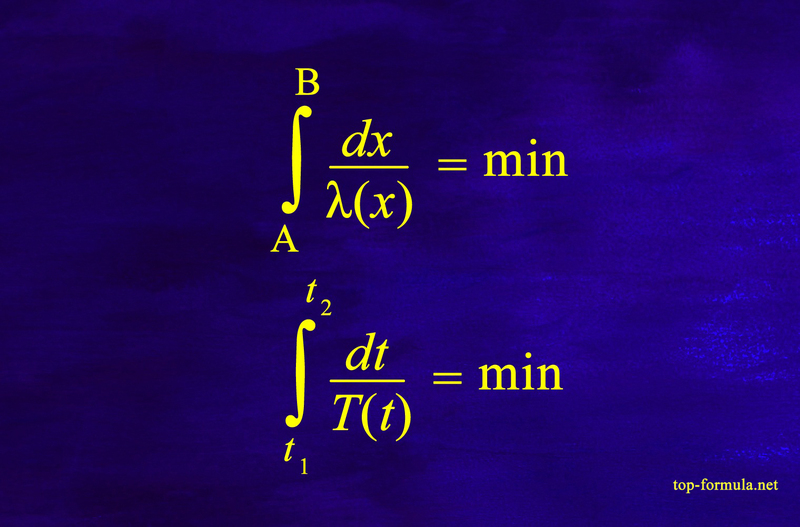 In my opinion, this equation is very beautiful, because it is simple and fundamental. 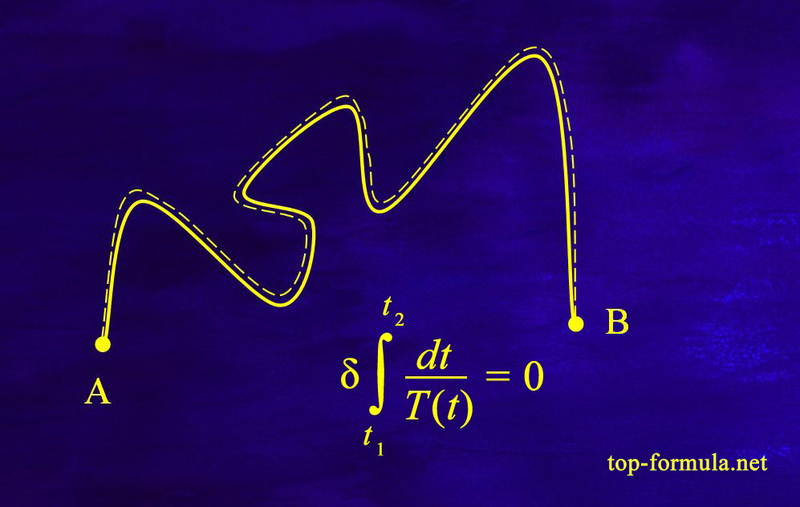 Any wave moves to spend a minimum of its own oscillations on the traversed path. If we assume that the natural oscillations of the wave are its own clock, then we can say that the wave always moves to spend a minimum of own time on the passed way. In this formulation, Fermat’s principle is applicable to the motion of light and to the movement of a stone. The stone moves along the trajectory ACB. At point C, At point C, the velocity of the stone decreases, its kinetic energy also decreases. Consequently, the quantum frequency of its wave decreases, and its period increases. Therefore, moving from point A to point B through point C, the stone spends a minimum of its proper time (the number of oscillations of the quantum wave associated with it) on the traversed path. We have “rehabilitated” Fermat’s principle and now it is just as fundamental as the principle of least action. Only Fermat’s principle is simpler, clearer and more understandable. Let us formulate it again. 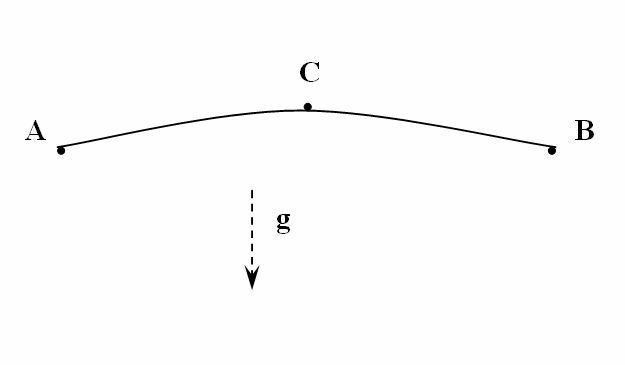 Any object (light, stone, electron…) has wave properties, so it always moves to spend a minimum of its own time on the path traveled. Why does it need this? It does not need anything. Just on any other trajectory neighboring waves will not be in phase and will mutually cancel each other. Neighboring waves do not extinguish each other only if they move with the same phase. 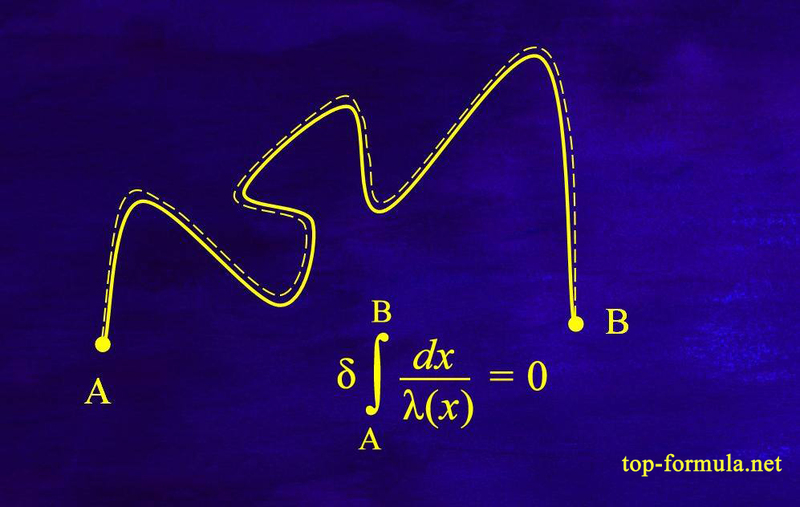 It is this condition that is expressed in the wave equations.